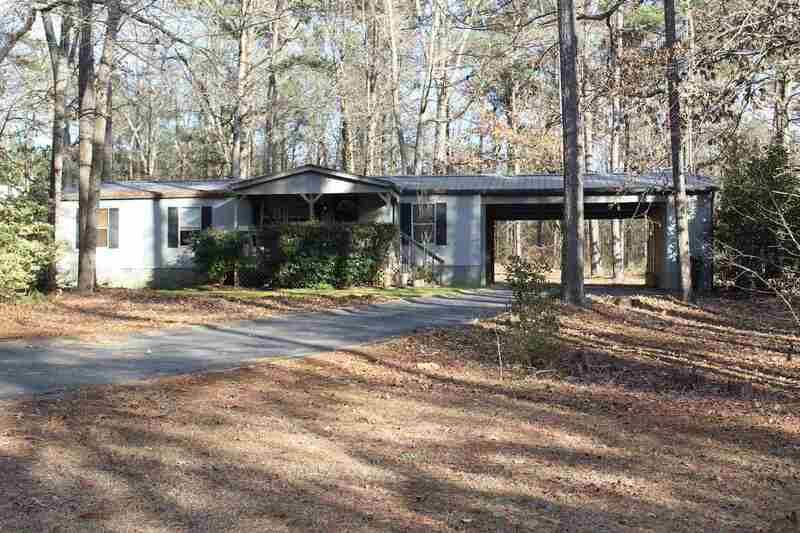 This home 3BR/2BA home is on a permanent foundation with attached garage and storage room. The large living area encompasses 3 interchangeable rooms which would allow living, dining, den or office. The home is all about the outdoors with deck, patio, covered porch, screened porch and large sunroom. All of the flooring has been updated and the kitchen has stainless appliances. It sits on 1.2 acres and is a few feet from a designated lake area for subdivision which would allow boating and swimming. Take a look at this home fast because it won't last long at this price! Eagle View is a subdivision within the city of Greensboro, Georgia. There are currently 19 Homes for Sale within Eagle View, with asking prices ranging from $6,500 to $460,000. The average list price per square foot of the available inventory in Eagle View is $261, which is below the Greensboro average of $295. The Average Sales price of all sold real estate in this subdivision for the past year is $248,240. Recent comparable homes have been selling for 90.69% of their asking price. Waterfront homes represent 36.84% of the available Eagle View inventory. The population of Greensboro, according to the 2010 Census, is 3,359. The total number of households in the zip code of Eagle View is 4,613, with an average household size for of 2.36 people. The total number of renter households within the zip code of 30642 is 1,185, which means that 74.31% of households in this zipcode are owner occupant households. 1420 PULLMAN LANE #1420, Greensboro GA 30642 is a Other, with 3 bedrooms which is recently sold, it has 1,152 sqft, 12 sized lot, and 1 Car Attached,Garage parking. A comparable Other, has bedrooms and 0 baths, it was built in and is located at and for sale by its owner at $ 0. This home is located in the city of , in zip code , this County Other, it is in the Subdivision, and Deerfield are nearby neighborhoods.